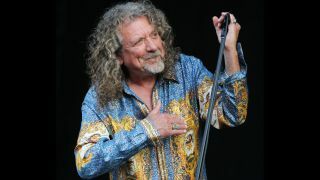 Robert Plant has confirmed a UK tour in November with his band the Sensational Space Shifters. They’ll play a run of shows across the country in support of upcoming album Lullaby And… The Ceaseless Roar, due via Nonesuch/East West Records on September 8. View a trailer video below. Plant says: “It’s really a celebratory record – powerful, gritty, African, trance meets Zep.